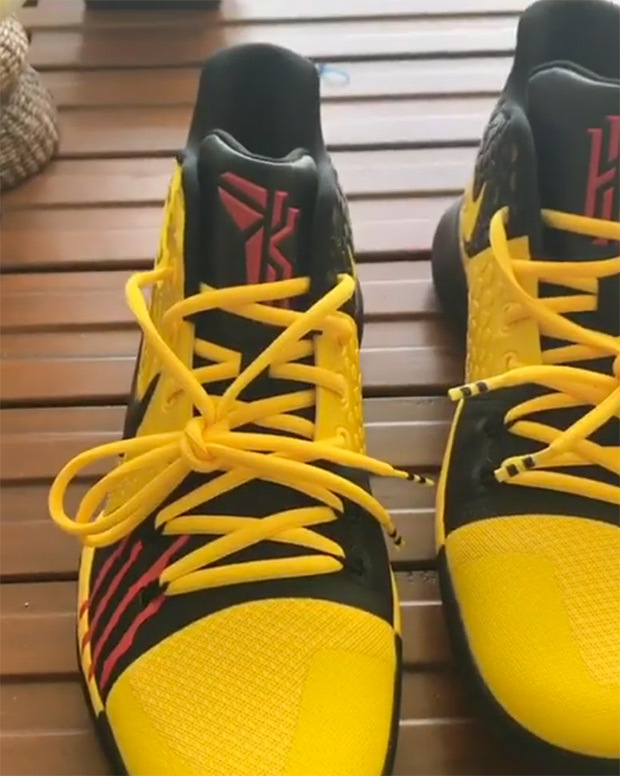 We always knew that Kobe Bryant was some sort of a mentor to a lot of players, but enough to to inspire another players sneaker? 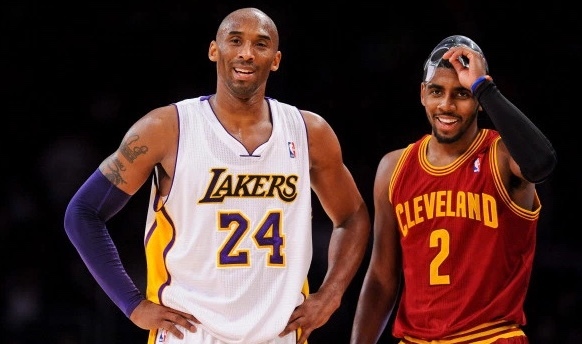 Kyrie Irving thinks so. Earlier today Kyrie Irving took to Instagram to announce one of his newest sneakers colorway is inspired by Bryant himself. 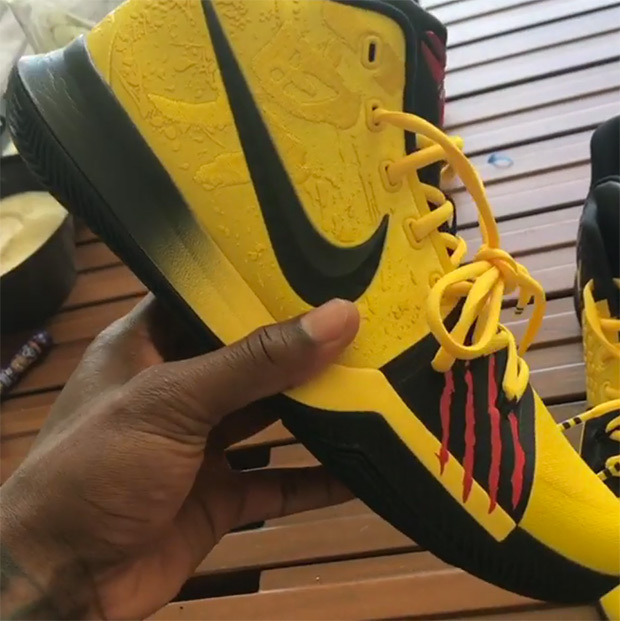 Irving describes playing the Nike Extravaganza in California and winning wearing Bryant's Kobe V "Bruce Lee" which released back in 2009. That inspired him to make his own version for his Kyrie 3. The sneaker definitely resembles Bryants 2009 release. 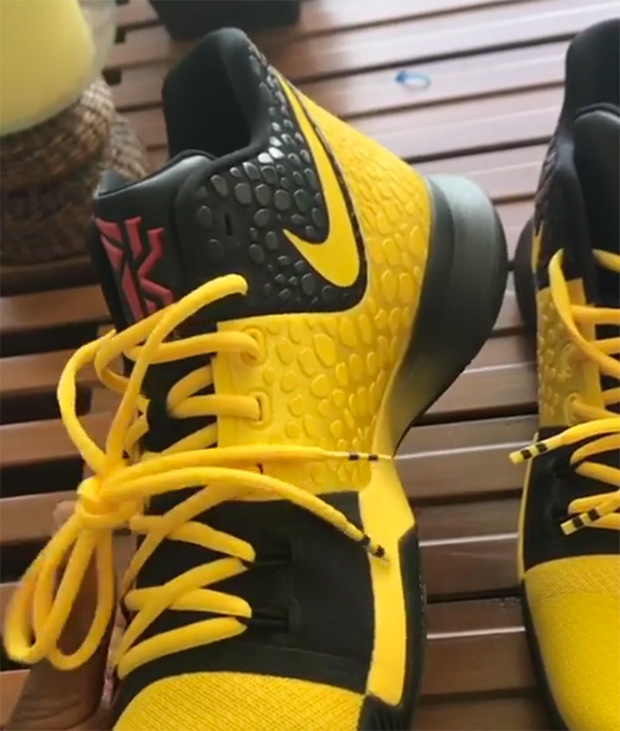 The tongue also has a merge between Kobe's and Kyrie's logo with a scar on the fore-footing which definitely is paying homage to Bruce Lee. No word if this will be a world wide release or just something for Kyrie. Check out the pics below and tell us what you think.